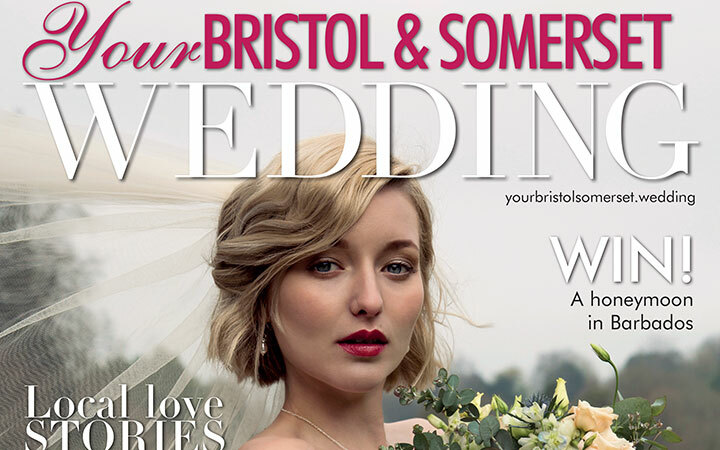 Our bespoke glamping services have been highlighted in the fabulous Your Bristol and Somerset Wedding magazine as a top choice for hen-do weekends. 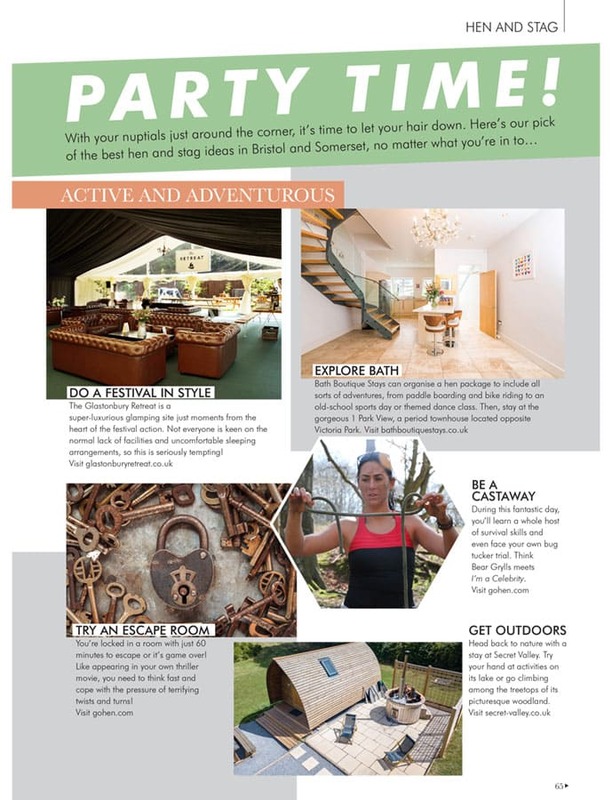 Suggestions made in the editorial feature were for a crafty and creative weekend creating your own pop up glamping field, or indulging in a weekend away at Glastonbury Festival or Badminton Horse Trials with our sister companies Glastonbury Retreat and Badminton Retreat. 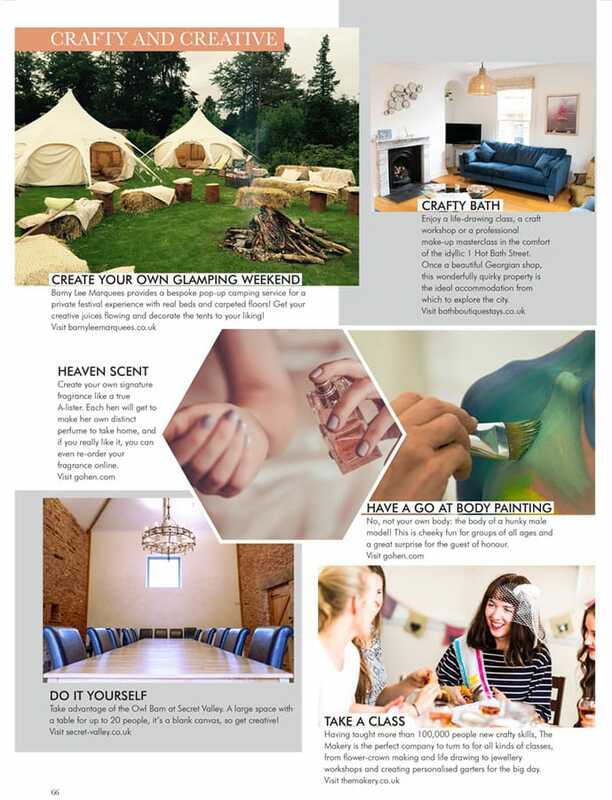 For more details on our glamping services, take a look at our Glamping page or just get in touch to discuss designing and creating your very own mini festival! Barny Lee Marquees can also provide glamping accommodation for your wedding guests should you wish to offer a luxury camping option for the event. For those lucky enough to be in possession of Glastonbury tickets for 2019, the Glastonbury Retreat provides the ultimate luxury festival experience. A selection of high spec accommodation options, hot showers, hot tubs, restaurant, late night bar with fire pits, pilates and massage make this a very special place to enjoy all that Glastonbury has to offer in comfort and style. Find out more and book your glamping experience on the Glastonbury Retreat website. 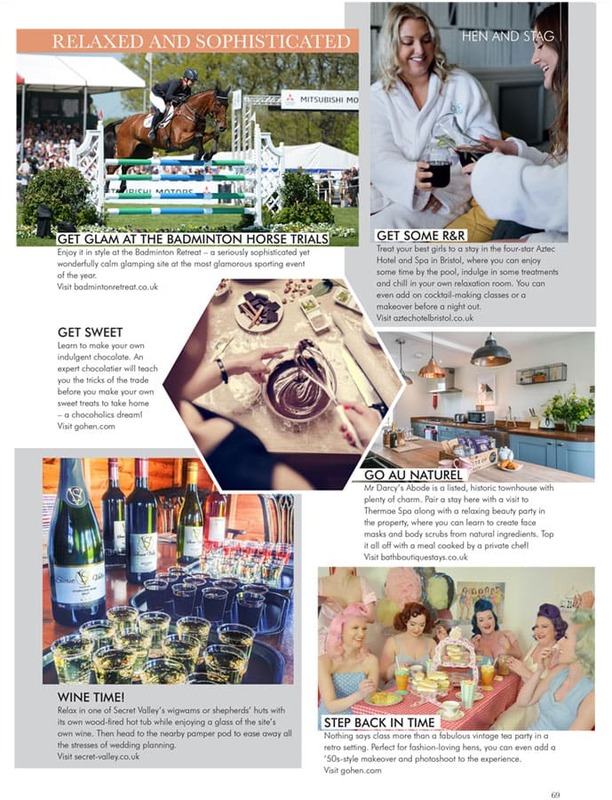 For the first year and in conjunction with their 70th anniversary celebrations, Mitsubishi Motors Badminton Horse Trials will incorporate a glamorous glamping option for visitors and competitors. The Badminton Retreat will be situated on the Cross Country Course at Huntsman’s Close placing guests right in the centre of the action for this world renowned four star 3 Day Event. The annual highlight of the UK equestrian scene and described by Tatler as the most glamorous event in the sporting calendar. For details on accommodation options and direct bookings, visit the Badminton Retreat website. If glamping sounds like something you’d like to add on to your special day, give us a call to chat through the options on 01934 713198. Contact us to arrange an no obligation on-site visit where we measure up and discuss the proposed site and discuss all the different marquee, furniture and glamping options. We assist you with the planning and design process producing scale CAD (Computer Aided Designs) drawings and advise you on how to make most of your location in the day and throughout the night.